L to R: Sho Uehara & Nick Johnson at the 2016 Edmonton Expo. Welcome to Wishless Wednesday - is how this piece would have opened had this actually published on Wednesday. Oops! Anyhow, it's Thursday night, so let's get right to it, shall we? At the 2016 Edmonton Expo, I stopped by the Wishless table and spoke with two of the creators, Sho Uehara and Nick Johnson. 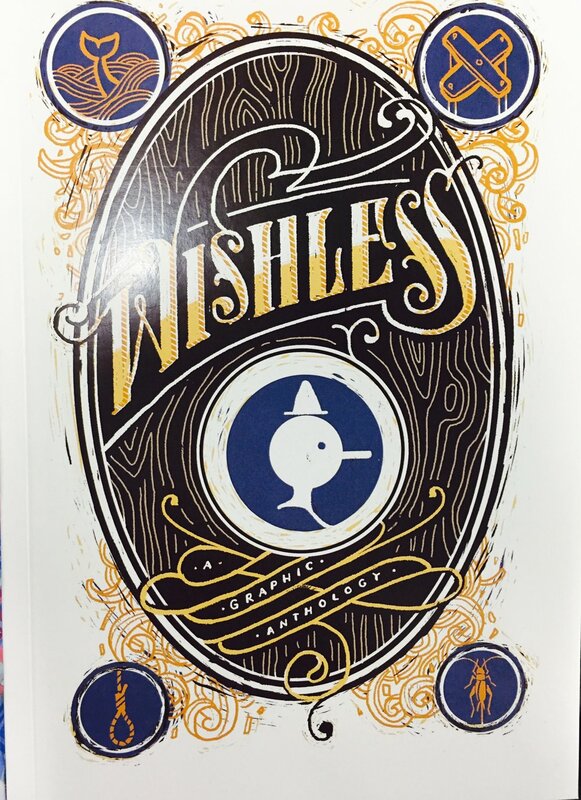 Here's a quick rundown: Wishless is a a collection of stories based on one theme - as the creators put it: what if Pinocchio's wish was never granted, and he never became a real boy? Now, I read this just after it launched back in June at the inaugural Panel One Comic Creator Festival and I thoroughly enjoyed the different stories put forth, based on this theme. The variety of art and writing from story-to-story is, in a word, fantastic! You should pick it up either in print or right now on Comixology. But you know what, please have a listen to Sho and Nick talk about the book and the process of putting a project like this together. Pssst....just hit play on the Soundcloud link. It's that easy. This interview was conducted and interviewed by Chris Doucher, Managing Editor for GeekNerdNet.com.